As Salsa’s Marketing Director, Tammy Sproule is responsible for getting the word out (often in 140 characters or less!) about the company. She has held a variety of communications and public relations positions in the public and private sectors, and began her career as a graphic designer. 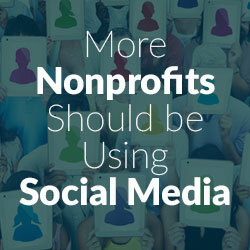 If all the latest studies are touting how useful social media is, then why aren’t more nonprofits taking advantage of the benefits? According to 2014 M+R and NTEN’s Benchmark Study, nonprofit social media audiences grew faster than nonprofit email or website audiences. Facebook fans were up 37 percent and Twitter followers were up 46 percent in 2013. Social media exponentially increases your cause’s exposure. 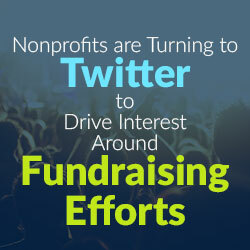 It expands your reach and increases awareness as well as your donations. So what is holding you back? There are many different ways to approach how your organization can benefit from social media, but remember, you can’t possibly be on every network, so don’t set yourself up to fail. Here are a few tips on how social media can help your cause. 1) To join or not to join. With hundreds of social media sites out there, how do you choose which one to use for your organization? Think back to what your Mom used to say, “Don’t do it just because everyone else is doing it.” That statement holds true for social media too. Pick two or three sites and approach them with passion. If you decide to join a new site, consider the audience and the content you’ll be sharing with them, the times they are on the site most, and your end-goal for your presence. Spend time listening to what your supporters are saying and what topics they care about, and then engage accordingly. If you find a particular platform is not working for you, it’s better to say goodbye than have a page that is neglected. 2) Know what you want to achieve. You need a plan before you jump right in. Focus on a specific set of goals and objectives to help you decide what tools and tactics to try. It will make the process seem less overwhelming and it will make implementing and measuring your progress much easier to manage. 3) Engaging content will drive your success. As with most things, be personal and authentic, but it is even more important for social media. People connect with other people, not with organizations. It is important to give your organization a clear personality. Sharing information on social media is great way to communicate your organization’s needs. 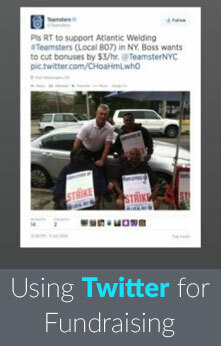 You can use status updates and tweets and pins to call attention to a current campaign. That kind of focus can make it a bit easier to craft updates and add a sense of urgency to your posts, but what do you do between campaigns? Those moments are just as important for maintaining interest because how you post when there’s nothing urgent to say will help you define your social media personality. Just remember, what you say matters. No one cares what you do until they know why it matters. Social media is filled with people going on about WHAT they do. Be sure you communicate WHY you do it. 4) Test, test, and then test some more. What’s the best time to post? Should I post this type or that type of content? Don’t beat yourself up. This isn’t a time where you can call a friend and say, “what worked for you?” Their social media strategies might not work the same way for your organization. There’s no easy answer because it is not possible to always predict what will work when it comes to social media. It all depends on your audience. Just remember, technology and the tools and tactics available are continuously changing so you need to be flexible. Always try new things. When you are not sure what is working and what isn’t, then test, and test again. And, don’t be afraid of failure. Be funny/entertaining. Social media is a lot less formal; don’t underestimate people’s desire to just have fun. Be touching. Tell a story that stirs an emotion. Be educational. Teach others about your cause. Take a poll. It is important to ask questions. You can find out so much about your audience. Be controversial. Yes, push a few buttons to get people thinking. Maybe a recent event, ruling or other relevant topic. – Customize when you can, it matters! When posting a link on Facebook for example, the link preview title and description information can make a difference. It doesn’t just affect that initial person’s decision to share content, it also impacts every subsequent person’s decision who sees that piece of content in their newsfeed to share (or not to share). It has an exponential impact. You can edit the link title and description before posting to take full advantage of the space available. To edit the title and description that goes along with the link before posting, simply click on the title or description and key in the information you want to see displayed. Remember that each network has its own audience and demographics. Users of particular sites are on that platform because they expect specific content delivered in a certain way, i.e. interesting articles shared in 140 characters on Twitter or images with commentary in the form of hashtags on Instagram. 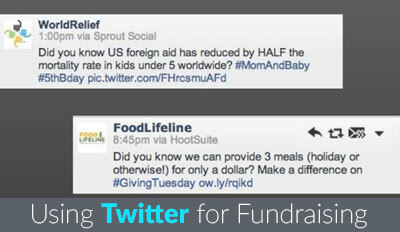 With a little bit of planning your nonprofit will realize the many benefits social media can offer.